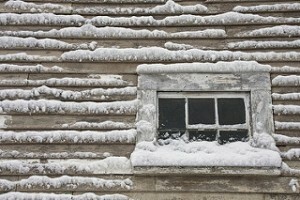 During winter months, many homeowners see the highest energy bills of the year, due to drafty old windows. Stay cozy this winter with vinyl replacement windows from The Chuba Company! The Chuba Company installs energy efficient replacement windows year round, helping you reduce your home’s annual energy costs through maximized glass and frame insulation. If I install the windows in the winter, will the windows expand during the summer months causing difficult to operate windows? No, thermal expansion is so minor that it is not an issue. Quality manufacturers also will build tolerance into the window to prevent breakage. Companies that know the craft of manufacturing have this knowledge and produce a window that can be installed in any weather–hot or cold. Will the caulk freeze or not set up? Again, the answer is no. A good installer will use a silicone caulk or paint grade latex caulk not affected by temperature. Will my house get cold during the installation? Yes and no…it’s all in the technique of the installer. A good installer will prep the window for removal, and the window opening will only be “open” for a few minutes so it should not to disrupt the home’s temperature. Will the windows be air-tight as a result of a winter installation? Yes, vinyl windows have a product called fin-seal. This seal creates three pliable barriers integrated into a self-supporting air barrier, providing the ultimate air seal. This system creates a lot of room for expansion and contraction, making the installation temperature independent. Don’t spend another Minnesota winter shivering due to old, drafty windows. Stay cozy and reduce home energy costs with new vinyl replacement windows from The Chuba Company. 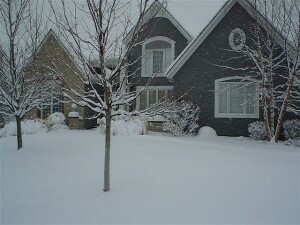 The Chuba Company has more than 40 years experience with cold-weather window installation. And no matter what the climate, The Chuba Company offers our Quality Workmanship Warranty on every project. Contact us today to schedule your winter window installation!